The Elephant Camp, General Managers Brad and Annie are the new general managers of The Elephant Camp situated just outside of Victoria Falls. Together they have spent 7 years sculpting a successful career in the Hospitality and Tourism industry. Brad has an extensive background in hospitality management and Annie has a background in hospitality and beauty therapy. After completing various courses in South Africa, Brad and Annie worked their way upwards from working at South African game lodges and hotels to running high-end lodges in Botswana’s Okavango Delta. 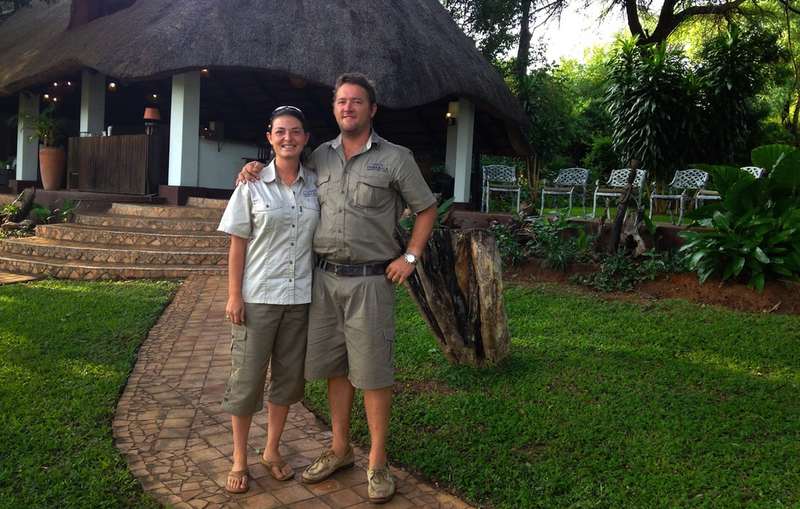 They joined Wild Horizons 3 years ago and managed Imbabala Zambezi Safari Lodge. Brad grew up in Victoria Falls, so The Elephant Camp really is like home to him. 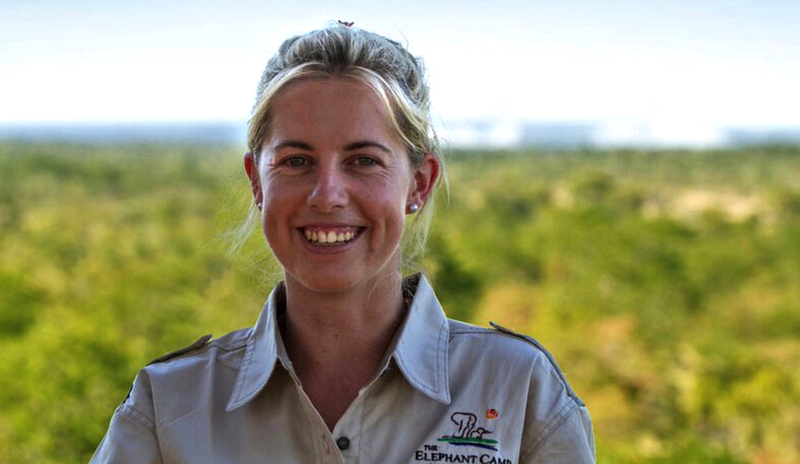 Hilda joined Wild Horizons 4 years ago as the Assistant Manager at ‘The Elephant Camp’. 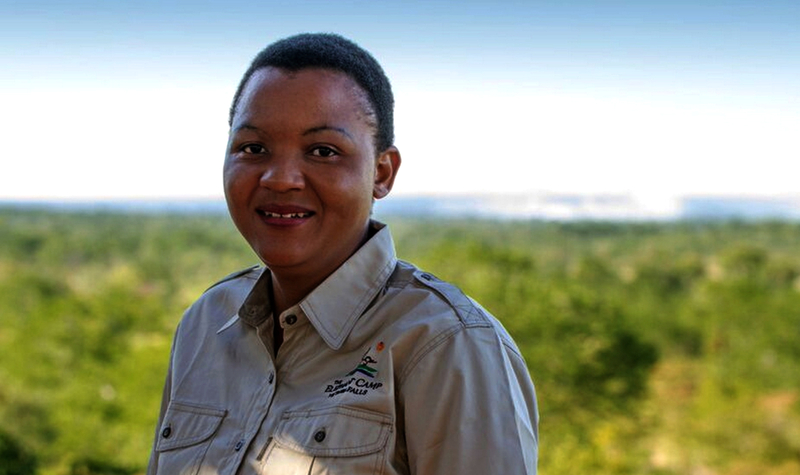 She has dedicated the past 10 years to the hospitality industry in Zimbabwe and has worked in and around the Victoria Falls area for most of her time. She previously managed Matetsi Water Lodge. Her experience in managing 5-star lodges radiates through and shows off her capabilities, which seem unending. With a safari background and a hotel management qualification, she brings a strong understanding of customer care and attention to detail to the team. Stacey joins Wild Horizons as Manager of The Elephant Camp West and we are eager to see her enthusiasm shine through in all that she does. She qualified in the hotel management industry in South Africa and has an advanced knowledge of catering and service brought about through her training at Silwood School of Cookery in Cape Town. Stacey comes to us after spending the past 3 years managing Spurwing Island on Lake Kariba in the Matusadona National Park. Jon and Sarah are very much at home in the bush and are passionate about sharing the splendours of Zimbabwe with visitors from far and wide. They have both been in the tourism and hospitality industry since leaving school. Jon went to the International Hotel School in Cape Town and Sarah studied Tourism Management in Pretoria. Sarah’s 10 years of experience have all been in Zimbabwe while Jon’s experience has taken him from top hotels in Cape Town to a Villa in Italy, onto guiding overland trucks through Southern Africa and finally the opening and running of Chundu Island before they joined Wild Horizons to manage Imbabala Zambezi Safari Lodge. 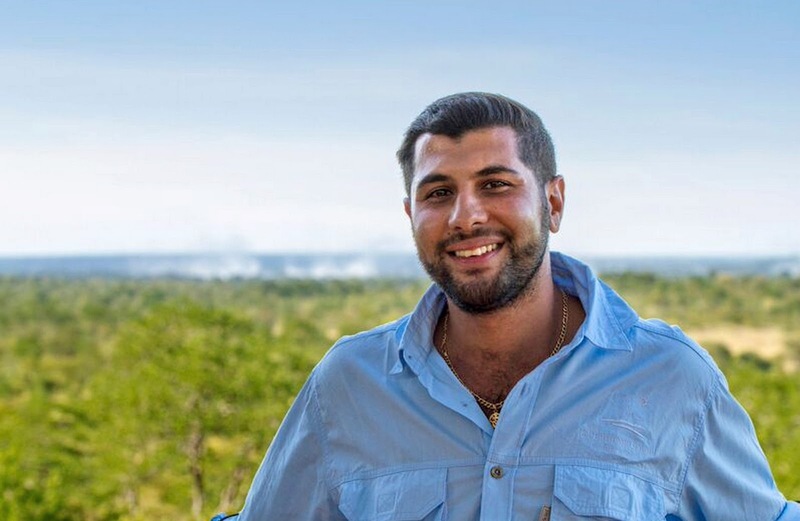 Himal first joined the Wild Horizons team as a freelance fishing guide at Imbabala Safari Lodge, after which he then joined as part of the management team. He has grown grew up in Victoria Falls and as such a career in tourism was imminent. Himal studied Hotel Management and Hospitality and enjoys working with people. He now provides relief management across all three Wild Horizons properties – The Elephant Camp, The Elephant Camp West, and Imbabala Zambezi Safari Lodge.